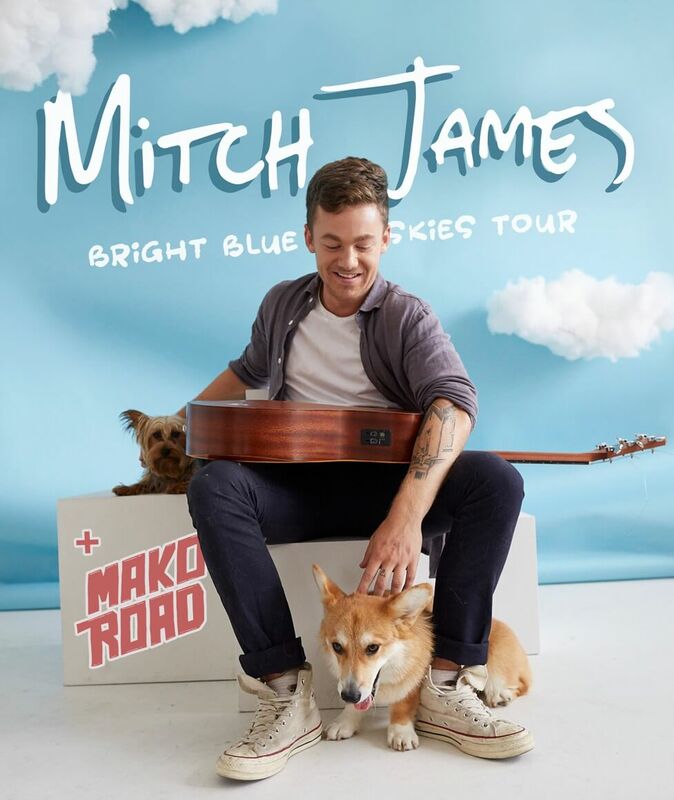 Kiwi pop artist Mitch James, is hitting the road in June-July on a six date New Zealand wide tour! Tickets will be on sale Wednesday, 17th April so get in quick! Mitch James‘ self-titled gold-certified debut album has dominated the charts and amassed more than 80 million streams on Spotify, since its release last year. The record contains four Gold certified singles, including current single ‘Bright Blue Skies’ ‘Old News’ ‘All The Ways To Say Goodnight’ and ‘21‘. After a busy 2018, in which he toured extensively – paying sold-out shows across Australia with Conrad Sewell; opening for Ed Sheeran in New Zealand; and his own headline tour – James intentionally held back over summer, performing at only a handful of shows including ZM’s Float and to a packed crowd at the renowned Homegrown Festival in Wellington. Beginning as a covers band playing at university events and parties, the four lads eventually developed their own sound influenced by a range of genres, leading them to release three singles in 2017, and their debut EP, ‘The Green Superintendent‘ in early 2018. They recently sold out shows across New Zealand.